Comprehensive in scope and exclusively devoted to feline medical care, Dr. Susan Little'sThe Cat: Clinical Medicine and Management is an essential resource for anyone who provides complete, state-of-the-art care to cats. In one convenient volume, you'll find authoritative, clinically-focused information enhanced by full-color illustrations, tables, boxes, algorithms, key points, and much more - all in a format designed for quick access. 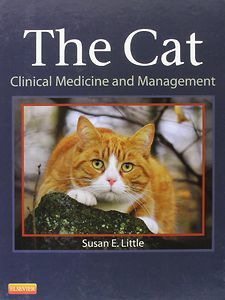 Dr. Little and her expert contributors address the unique concerns and challenges facing the feline practitioner, including the latest advances in feline medical diagnosis and management and their clinical applications to everyday practice. User-friendly and complete,The Cat is also available as an e-book, giving you easy access to the complete, fully-searchable contents online.